Paul Humphrey was/is the lead vocalist for Canadian 80's new wave band Blue Peter who's biggest hit 'Don't Walk Past' still gets radio and video play. Last year they reunited for a Ready Records bash in Toronto with other bands like The Spoons (there were rumours of the two bands doing a tour together, haven't seen any news about that recently). 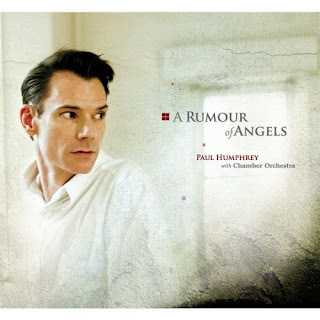 Well Paul has just released a new cd titled 'A Rumour Of Angels' that see's him taking a different direction, working with members of the Vancouver Symphony Orchestra. I haven't heard the whole cd but the samples available on Paul's MySpace page remind me somewhat of Paul Buchanan of the Blue Nile. You can order the cd from Amazon Canada and they will ship to the U.S. and the U.K.
To celebrate its 40th birthday, BBC Radio 1 are releasing a compilation featuring forty contemporary artists each covering a track from between 1967 and 2006. Keane were given 1981 and chose to cover 'Under Pressure' by Queen and David Bowie, a Number One hit in November of that year. The band's cover will be premiered on Jo Whiley's show on Tuesday September 25th, with the compilation album released the following Monday, October 1st. We called up Tim to get the lowdown on the track. Hi Tim. How did you come to cover 'Under Pressure'? After Radio 1 gave us 1981, we basically compiled a huge list of songs from that year. We had all the weekly Top 10s, plus a fascinating list of what the overall best sellers from the year were. Two were by Shakin Stevens, two were by Adam and the Ants and then there were novelty tracks like 'The Birdie Song' by the Tweets and 'Shaddup You Face' by Joe Dolce. But eventually you plumped for Queen. Yeah. We're all big Queen fans and spent a lot of our childhoods listening to them. I remember Tom used to do impressions of Freddie Mercury. In fact, Tom's the biggest Queen fan in the band and when we were told we had 1981, he suggested 'Under Pressure' pretty much immediately. So then we spent ages looking at the list of tracks, weighing up the options and eventually came back to that one. It was just the one that we were most desperate to get our teeth into. And once we started playing it, we really started to realise what an amazing song it is. I think you get a very different appreciation of a song when you play it than when you listen to it. The original track featured two vocalists - Freddie Mercury and David Bowie. How did you deal with that on the cover? The original idea was actually to get someone else in to do Bowie's part. But then when we were in North America in May, we started recording it. We did two sessions, in Toronto and Philadelphia, and we ended up with all three of us singing on it. We were huddled around a microphone, doing the handclaps and finger clicks too. We had so much fun with it. And when we finished, we realised we were happy with it like that, with just our vocals on it. Does Tom sound like Freddie? Actually, he does a really good impression of him and we kept having to tell him to tone it down and sing like himself! He's such a huge Queen fan, it really was a dream assignment for him. So are you pleased with the finished cover? Yeah, really pleased. We recorded it very quickly, but we had loads of fun doing it. It was a real collaboration between the three of us and there was so much energy and excitement in the studio. To be honest, I think it has really inspired us for future recordings. And I think the song's turned out great. I'm really quite proud of it. 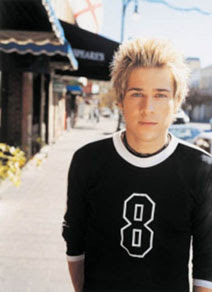 Ryan Cabrera has had his new single 'I Will Remember You' featured this year on FOX's 'So You Think You Can Dance'. The single is available on iTunes and will likely be on his next cd when it is released. He performed the song on the series finale of SYTYCD and looks quite different from what you may be used to seeing him look like (long black hair). You can see his performance on YouTube to see what I'm talking about. I hope to go see A Fine Frenzy when they play Vancouver in October. I heard from a friend in Toronto that they are doing an industry showcase there sometime soon and there is a bit of a buzz happening about it. XO London has a cool feature on new UK band Passengers that has links to some of their videos on his blog, worth checking out to hear what this blog favourite band are like. Justin Hines is a great Canadian singer songwriter that has a new single called 'Wish You Well' that is worth checking out, it's from his forthcoming album 'Sides' is due out August 21st.